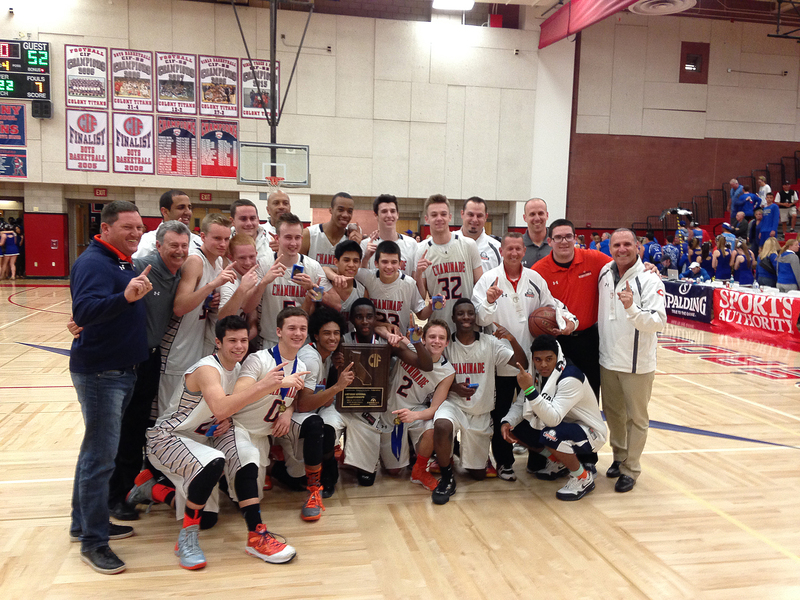 More than 70 miles away from their home gym, both Chaminade’s Girls’ and Boys’ Basketball teams made history on Saturday, March 22 when they won their regional division finals. 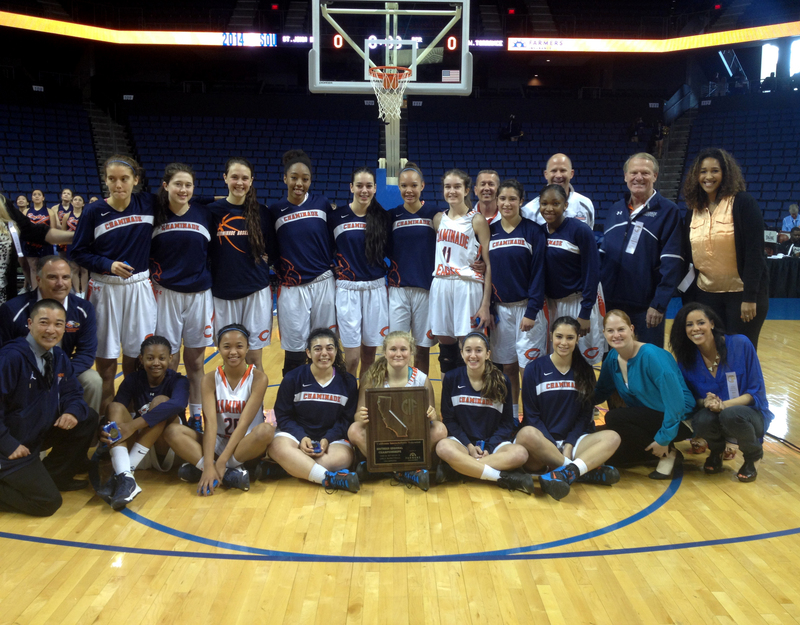 Now, for the first time in school history, both teams will play in CIF Basketball State Championships. At the Citizens Business Bank Arena in Ontario, the girls beat West Torrance High School, 67-50 and clinched the Southern California Division II Regional Championship title. Senior center Devin Stanback scored a game-high 27 points, while Paige Fecske ’15 and Valerie Higgins ’16 contributed 15 points each. Ten hours after the Chaminade Girls’ game began, the boys team tipped off the Southern California Division III Regional Championship game against Santa Margarita Catholic High School. Their game was played at Colony High School in Ontario, and finished with a buzzer beating three-point shot by Michael Oguine ’15. The final score was 53-52. Oguine scored 32 points in the game, 18 of them in the fourth quarter. The wins on Saturday means both teams will travel to Sacramento to play in the CIF Basketball State Championships at the Sleep Train Arena. Chaminade Boys’ Basketball takes on Sir Francis Drake (San Anselmo) on Friday, March 29 at 4:00 p.m. in the Division III title game. On Saturday, March 29, Chaminade Girls’ Basketball faces Archbishop Mitty (San Jose) at 2:00 p.m. for the Division II title. The West Hills Athletic Office will pre-sale tickets to the CIF Basketball State Championships from Monday, March 24 to Wednesday, March 26. Tickets are $16 per adult and $10 per student or child.